Wiley Cash is from western North Carolina, a region that figures prominently in his fiction. A Land More Kind than Home, his first novel, was published by HarperCollings in 2012. His second novel, This Dark Road to Mercy, will be published in January 2013. Cash holds a B.A. in Literature from the University of North Carolina-Asheville, an M.A. in English from the University of North Carolina-Greensboro, and a Ph.D. in English from the University of Louisiana-Lafayette. He has received grants and fellowships from the Asheville Area Arts Council, the Thomas Wolfe Society, the MacDowell Colony, and Yaddo. His stories have appeared in Crab Orchard Review, Roanoke Review, and The Carolina Quarterly, and his essays on Southern literature have appeared in American Literary Realism, The South Carolina Review, and other publications. 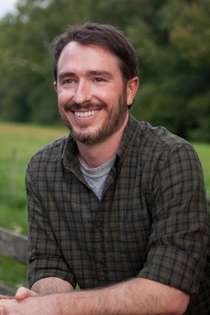 Wiley teaches in the Low-Residency MFA Program in Fiction and Nonfiction Writing at Southern New Hampshire University. He and his wife have lived in West Virginia for several years, but they are now in the process of relocating back to his home state of North Carolina.